World War II brought death to more than 300,000 Americans who were serving their country overseas. While the war was on, most of these honored dead were buried in temporary US military cemeteries. 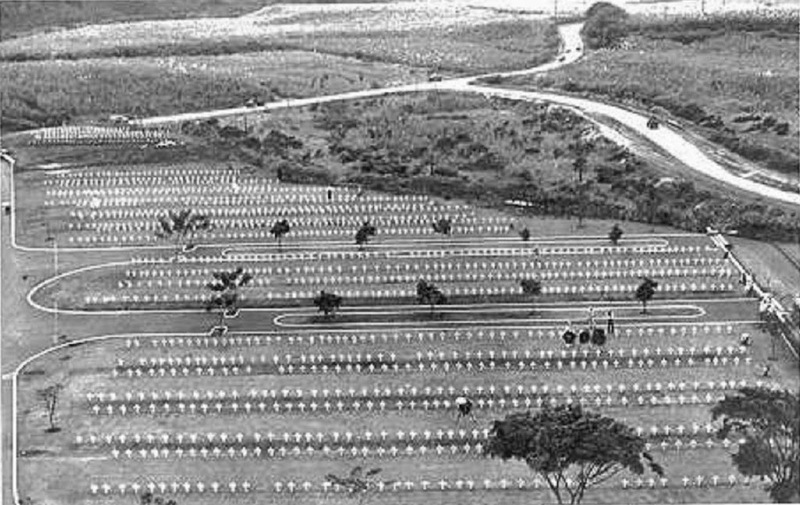 Several temporary cemeteries were constructed – one was in lower Hālawa Valley, overlooking Pearl Harbor. Following the war, Congress passed, and the President signed, a bill that authorized the War Department to take steps to provide a reverent final burial for those who gave the last full measure of devotion. In September 1947, the American Graves Registration Service (AGRS) disinterred and moved the remains to the Schofield Barracks Central Identification Laboratory (Schofield CIL), located at the AGRS Pacific Zone Headquarters, in order to effect or confirm identifications and return the men to their next of kin for burial. The image shows Hālawa Naval Cemetery. (Babcock) In addition, I have added other images in a folder of like name in the Photos section on my Facebook and Google+ pages. The Hawaiian Islands are made up of one or more shield volcanoes that are composed primarily of extremely permeable, thin basaltic lava flows (within the flows are a few ash beds.) Ordinarily, basalts are among the most permeable rocks on earth. The latter contributes to the groundwater recharge of the area (in the Koʻolau, it takes about 9-months for the rain, now groundwater, to seep down through cracks and permeable materials in the mountain.) Other recharge components include cloud drip (moisture condenses on the trees and leaves as clouds/fog drift through) and irrigation of an area helps add to the recharge. Rainfall percolating through the ground may accumulate in three principal types of groundwater bodies: (1) high-level bodies perched on relatively impervious soil, ash or lava layers; (2) high-level bodies impounded within compartments formed by impermeable dikes that have intruded the lava flows; and (3) basal water bodies floating on and displacing salt water. The principal source of fresh ground water in the Hawaiian Islands is the roughly lens-shaped basal water body floating on and displacing denser sea water. (It varies by area, sometimes there is high-level confined water.) Recharge of the basal water body results directly from percolating rain water or by underground leakage from perched-water bodies and bodies impounded by dikes. 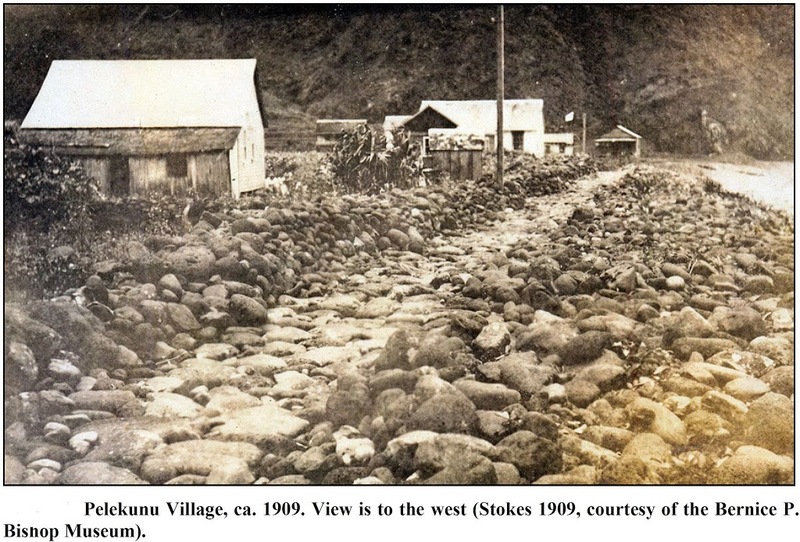 North Hālawa Valley overlies the Pearl Harbor aquifer, an important source of potable water for the island of Oʻahu. Freshwater in the Pearl Harbor aquifer is part of a large, lens-shaped body of ground water that is thickest in the central part of Oahu and thins toward the coastline. In some early installations, vertical wells were drilled in the tunnels to develop additional water. Hālawa was different; it is referred to as a skimming tunnel. It’s commonly called the Hālawa Shaft. The fundamental advantage of the skimming tunnels over conventional wells is their capability to produce large quantities of fresh water from lenses so thin that drilled wells would recover only brackish water. For this reason, skimming tunnels are especially useful in some of the dry leeward coastal areas of Hawaiʻi, as well as on many small oceanic islands with extremely thin fresh-water lenses. Approximately 15-million gallons of pure water is pumped every day from the Hālawa shaft by three pumping units which have a capacity of 18 to 20-million gallons per day. The completion of the Hālawa Shaft made possible the importation of water from the Pearl Harbor area to Honolulu permitting a reduction in draft from the Honolulu aquifer. While I was at DLNR, I had the opportunity to have a private tour of the Hālawa Shaft. The lack of a key to unlock a gate on the stairs leading down the shaft caused quite an embarrassment to the Water staff. 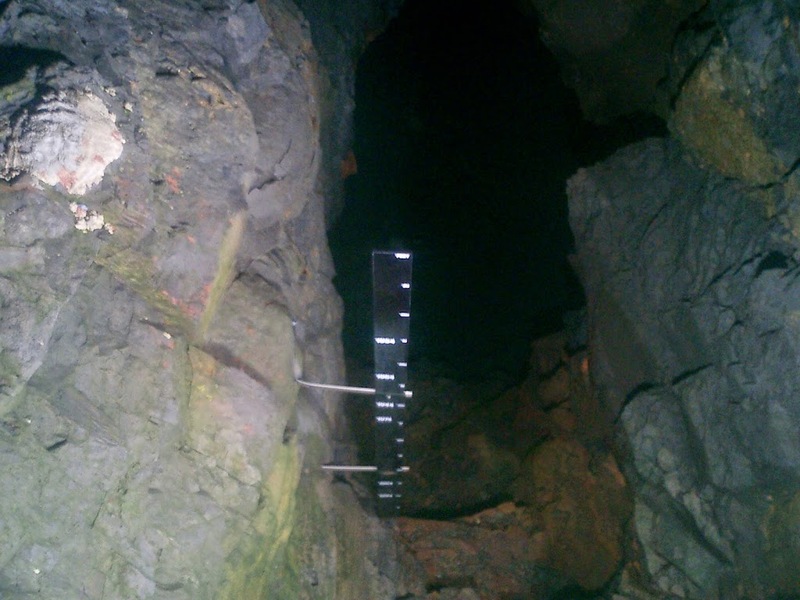 The image shows a simple water level gauge at the water pool at the Hālawa Shaft. In addition, I have included other related images in a folder of like name in the Photos section on my Facebook and Google+ pages.